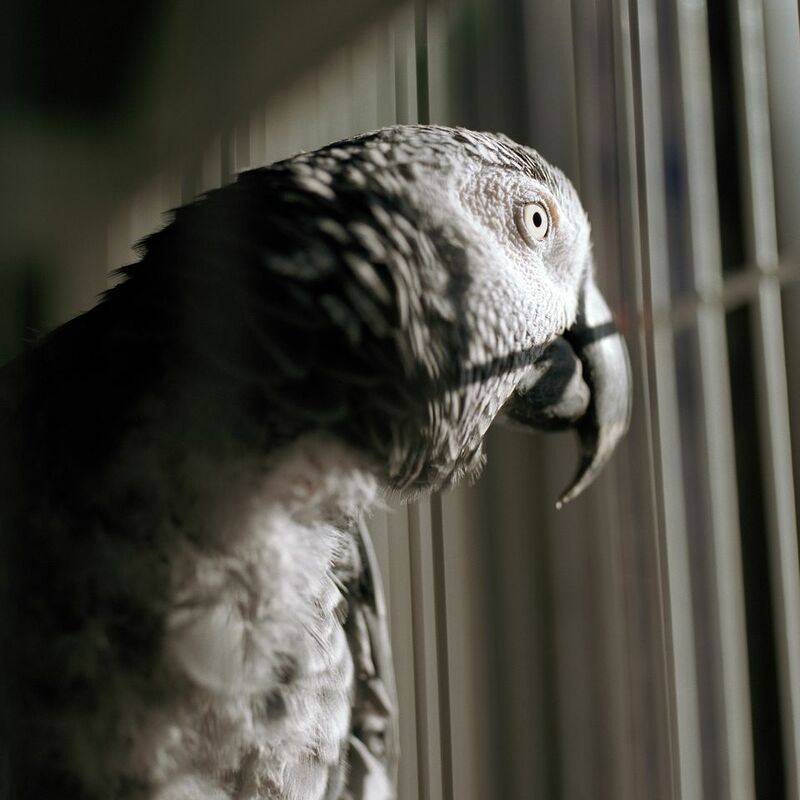 Depression in pet birds has a number of causes, both mental and physical. Any illness or recovery from being sick and result in the bird being less chipper. The mental and psychological stresses that can lead your bird to be blue include a change in cage position, boredom, the death of a partner, or the loss of a favorite toy. Note any signs that your bird could be sick physically rather than just blue. In addition to the above, which can also be seen in many illnesses, look for red, inflamed, or runny cere or eyes, open-mouthed breathing, and tail bobbing. If you notice your bird showing any of these symptoms, the first thing you should do is schedule an appointment with your avian vet for a full check-up. If the vet finds no medical reason for your bird's symptoms, depression could be the cause. Check the cage position to be sure that it is not in an area that could stress your bird, such as in a chilly area. If possible, move your bird's cage to an area of the house where it can see the family, since pet birds are social and like stimulation. Keep the cage clean with a new cage liner daily and clean food and water cups. Inadequate mental stimulation is a major cause of depression in pet birds. Make sure that your bird has plenty of safe and fun bird toys. Give your bird some new ones frequently to keep it stimulated. Make sure that your bird also gets plenty of "one-on-one" time with you and other family members and that it gets adequate time to play outside of the cage each day. That ride on your shoulder might make a lot of difference in your bird's mood. If you're spending screen time in front of the TV or computer, your bird can watch with you. If your bird has suffered the loss of a partner, be a little patient. Birds grieve and it takes a bit of time to get over a death. If things don't improve in a few weeks, see the avian vet. Consider getting a companion bird if you have only one bird.